(1) What name do you give your child? (2) What do you ask of God's Church for your child? firstly, the parents give their newborn infant the identifying Christian name he/she will be known by, throughout life here on earth and into eternity. Secondly, the parents declare their specific desire to have their child brought into God's family, given a share in God's life, and the opportunity and grace to reach eternal happiness in God's home in heaven. This desire implies the acceptance of the responsibility of training the child in the practice of the faith. Prior to the day of the baptism, parents and godparents are invited to attend a pre-baptism programme in the parish meeting room. This programme is computerised and timed to last approximately fifty minutes. The topics covered relate to the role of parents, the selection and role of godparents, formation of the child in the home, the school and the parish. Most important of all, the programme dwells on the initiation of the child into the very life of Christ - an event of huge importance for the child, now and in his/her future formation in the ways of faith. 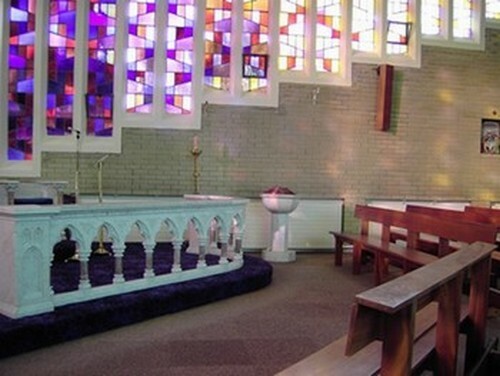 Baptisms take place in our parish Church of St. Louis on Sunday after 11.30 a.m. Mass. Parents need to bring a baptismal candle for use during the baptismal rite. The chosen godparents, or sponsors, accompany the parents to the church, where the priest will extend a greeting and welcome to all assembled for the happy occasion. 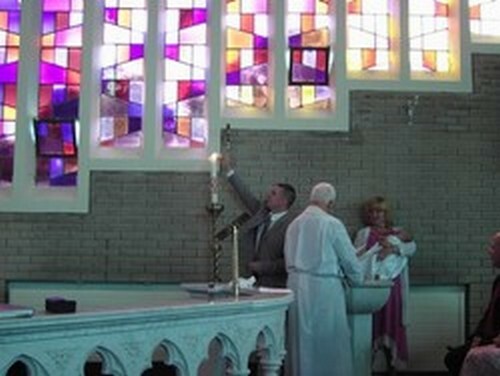 The celebration of Baptism follows the Church's Rite of Baptism. The faith in which the child is baptised is the common treasure of the whole Church. Infants and adults, men and women, and peoples from all nations are linked, through baptism, in a sacramental bond of unity, forming God's Holy People.